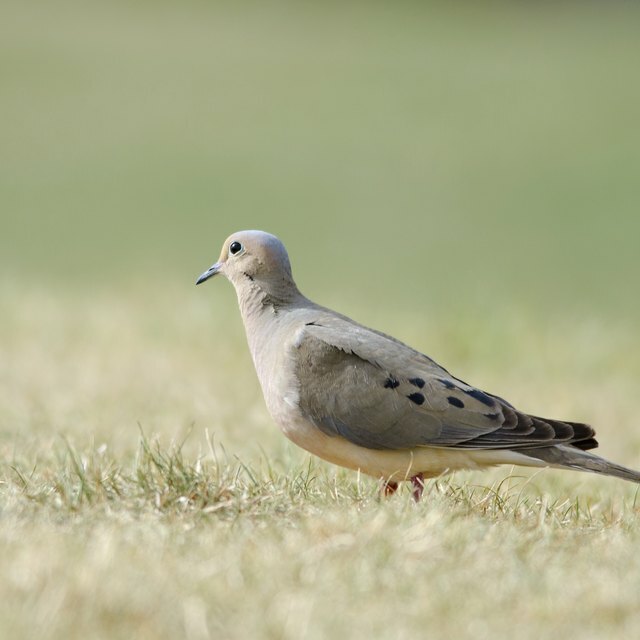 Mourning doves, found throughout North America, have a gentle nature and pleasant cooing song to match. Since these small songbirds are comfortable around people, they are easy to attract to any backyard. 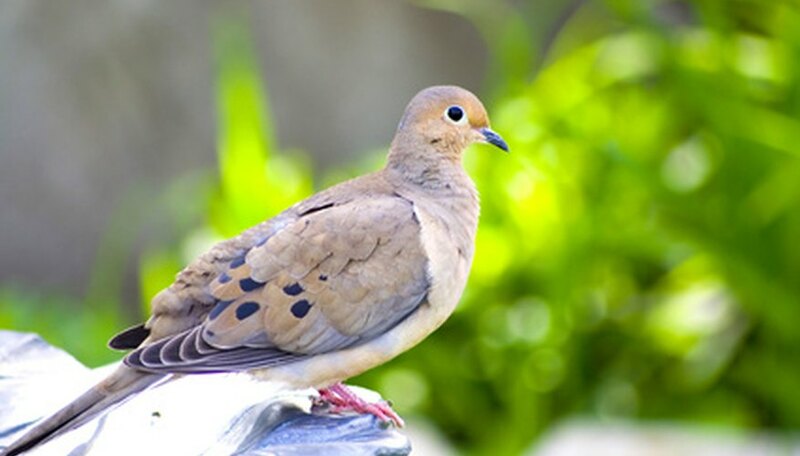 They are monogamous throughout the breeding season, and according to “Birds of North America,” mourning doves “according to some research, may pair for life.” Attracting mourning doves by providing them one of several types of attractive birdhouses is simple to do. These birds are so easy to please that the term “birdhouse” is used loosely. Mourning doves do not like to be enclosed while nesting--in fact, they do not like to fuss too much about their nest structure at all. A soft spot with a few sticks is a fancy birdhouse for a mourning dove. Choose a spot about 10 to 15 feet off the ground. This is the preferred height for nesting for mourning doves. You can hang the birdhouse from a patio or eave of the house. Set a few sticks in a hanging potted plant with lots of open space. The mourning doves will arrange the sticks and settle in to nest. Use a hanging birdbath bowl as a mourning dove “birdhouse.” Fill the shallow bowl with dirt and lay a few small sticks on top. Anders, Lynn. "How to Build a Bird House for a Mourning Dove." Sciencing, https://sciencing.com/build-bird-house-mourning-dove-6218030.html. 24 April 2017.